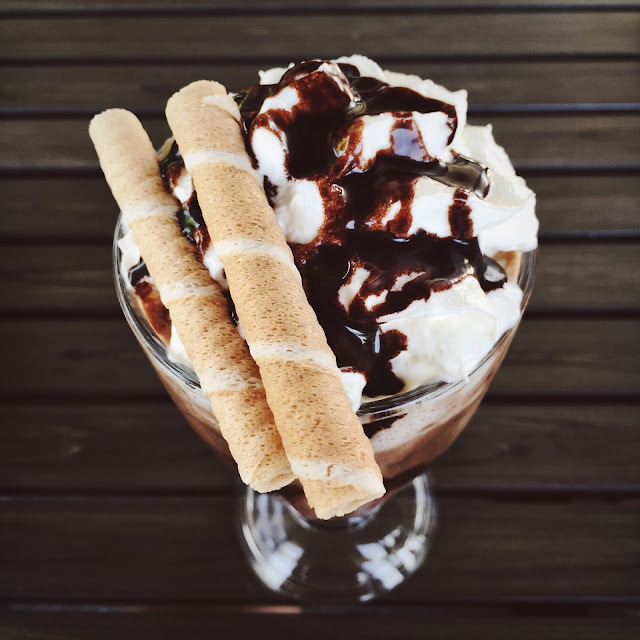 Millennials, Freakshakes and Instagram – The Perfect Storm - Nisbets Australia Blog - Industry news, trends, recipes and more! The rise of uber indulgence has been confirmed with the explosion of Freakshakes worldwide. Here we look at what Freakshakes are, why they became so popular, where they came from and how you can replicate this success. As social media has become such a huge part of people’s lives, one rising trend has been getting fit, healthy and showing it off. Eating clean has never been so popular, especially as going vegan becomes so trendy and accessible, and people love to share their healthy meals online along with their gym selfies. It was only a matter of time before the counter movement began to rise, where people openly embrace an unhealthy indulgence and share it on social media. Plus it’s only natural that after being disciplined all week, on the weekend you just want to let loose and indulge! Millennials (generally people born between the early 80s and late 90s) are a generation that values experiences over luxuries. Indeed, according to Eventbrite, 78% of Millennials choose to spend money on an experience or event, rather than buying something desirable. Business Insider reports that 53% of Millennials dine out once per week, compared to the 43% of other generations. Making up such a large portion of diners, they’re driving change in the industry. Millennials don’t want to be restricted by what, when or how they eat. They’ve grown up with an era of convenience and are changing the way food is served. From all-day breakfast menus to ‘design your own’ options at pizza joints, food trends are turning tradition on its head. Customisation is the order of the day, and thanks to social media people want to make their food bigger, bolder and unusual so that their posts stand out. And so “Freakshakes” were born. A Freakshake is an outrageous concoction that’s been referred to as “diabetes in a glass”. It’s a ridiculous calorie-laden milkshake, usually starting with a vanilla base, topped with anything your imagination can conjure up; cream, doughnuts, ice cream, cookies, sweets – there is no set rule. As long as it’s eye-catching and unhealthy then you’re doing it right. Looking good on Instagram is far more important than taste, believe it or not! Where do Freakshakes come from? They were born in Canberra, in a small independent cafe called Patissez. Some say they had seen this before in various places in the world, but it truly took off once Patissez started making their own. They thought of the catchy and intriguing name Freakshake, and encouraged customers to share photos of their creations on social media. The popularity of Freakshakes worldwide led to Patissez increasing its social media following from 3,000 to 27,000 likes. In fact, the cafe had only been open for 7 weeks by the time it went viral worldwide. Long queues outside the cafe and waits over 40 minutes long for shakes served only to increase the hype and people’s appetite to try this new phenomenon, driven predominantly by social media marketing. It was even said to be a source of pride for the people of Canberra, putting it on the map and showing people a side to the city as “more than just a boring public service town”. Canberra may be Australia’s capital, but being the capital of a trendsetting foodie scene is what got people excited. Breaking traditional food rules, being creative and recognising the importance of social media as a marketing tool can help your business boom. Your small start-up can become a global trendsetter within a few weeks, with customers happily queuing for an hour to get their hands on your creations. Customers were encouraged in Patissez to create a unique Freakshake each time and then take a photo before they ate it. Embracing the Instragram foodie culture can generate interest as the photos get shared more and more then more people want to get involved. One striking creation and a social media platform can put your business at the forefront of a movement which puts your town at the epicentre. Competitors will copy you, giving the product extra promotion and reinforcing your brand as the original, the only place to get a fix. Our selection of Kilner jars are the perfect choice to serve your Freakshakes, with a unique and quirky look to compliment the absurdity of the final product. You need something sturdy that won’t buckle under the weight of the enormous creation, which is also see-through to show off the contents inside. We have plenty of different shapes and sizes on offer, there is no set rule with how to serve Freakshakes – after all, this is a fun creation born out of breaking rules! Rainbow Bagels: Regular bagels can be brought to life by swirling together several different dyed doughs. The result is a strikingly colourful bagel that doesn’t taste any different, but it’s great for generating buzz as people Instagram their vibrant food. Luxury Hot Chocolate: Hot chocolate in a bowl with whipped cream, sprinkles and lucky charm marshmallows on top. It’s a colourful and unusual dessert that merges different foods together, sweet tasting and sweet looking! There are many things you can do to get your business recognised. Get creative and don’t be afraid to mix together things that aren’t traditionally compatible. Don’t be afraid to make anything super unhealthy. Be colourful, bold and get it out into the world. Use social media to share what you're doing and ignite discussion. You never know what the next craze to take the world by storm will be! Time to go eco-friendly with your disposables?